- New Jersey's BYSTANDER emerged from roots firmly entrenched in the local club scene, band leaders Bucky Naughton and Andy Kelly having played the covers scene since the mid 70's in a variety of different bar bands. 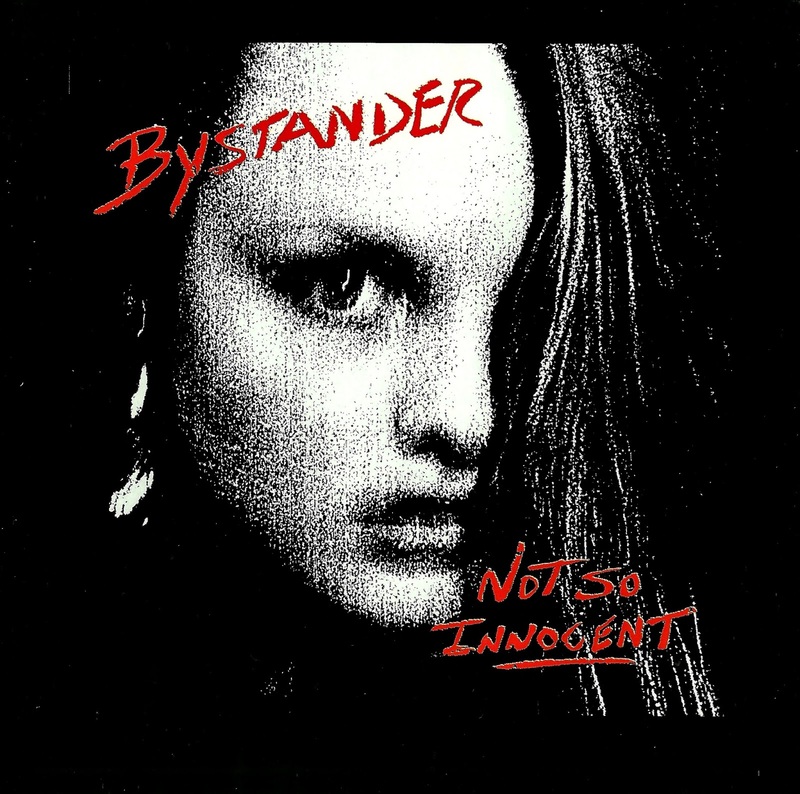 BYSTANDER began to take shape with the recruitment of guitarist Stan Steele in 1981. 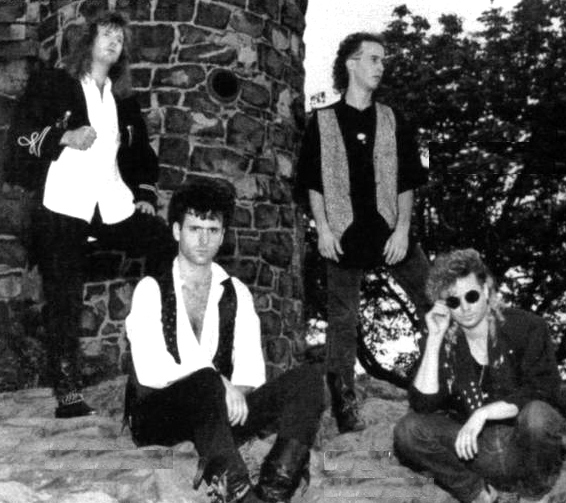 Keyboard player Mike Weaver joined the trio sometime during 1986. In early 1987 BYSTANDER beat off strong competition to win first place in a 'Best New Band' contest run by the 'East Coast Rocker' (best known in previous years in its original incarnation as 'The Aquarian') publication, a New York based weekly Rock paper. BYSTANDER decided to take the plunge and record a self-financed album, which was issued in July 1987 on their own A.B.S. label. The record, titled 'Not So Innocent', was produced by Alan Douches, whose other claim to fame would appear to be his contribution in an engineering capacity to GLEN BURTNICK's 'Talking In Code' album. Indeed, Burtnick helped out on backing vocals. BYSTANDER appeared to disappear after the album was released, although nearly ten years later it was discovered that the group had, in fact, recorded a second album which remained unreleased. Stan Steele featured as session musician on JODI BONGIOVI's solo album. - This band should've been reviewed ages ago! So let's cover some old ground with New Jersey based Bystander. An outfit that were quite well known on the Jersey Shore strip, the band have been through many line-up changes. Their strengths include multiple vocal harmonies and a pure AOR sound from that mid-late 80's timeframe when studio gimmickry and effects resulted in many over-produced albums. Bystander's sound is quite pomp and hi-tech sounding, taking bits of many contemporaries of the day - too many to name here. If it's AOR as the pure driven snow that you require, then the opening pair of 'Welcome To The Real World' and 'Running In Circles' should satisfy your requirement. Lovely stuff. 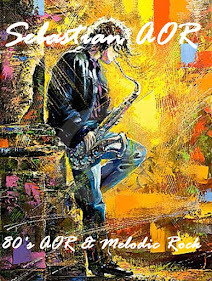 'Desiree' is a guitar driven rocker in the vein of Detroit outfit Adrenalin, it's followed by another AOR special in 'Love Games' with vocal harmonies and synth layers galore. 'Let Me In' has a very Canadian feel to it, think Stan Meissner, Jato and other similar acts. 'I Can't Stop' is quite hi-tech sounding, somewhere between Bourgeois Tagg and Mr Mister. One of my favourite tracks is the pomp-tastic 'Out Of The Night'. It really doesn't get better than this one - check it out! Changing tack is the very ambient sounding 'Someway Somehow'. Seems the reverb units are turned up to full for this track, another lovely aural display. Bystander return to AOR mode with 'You're History', but divert to a commercial synth number with 'Momma Lao', which has appeal in the same way that Mike And The Mechanics did with their material.